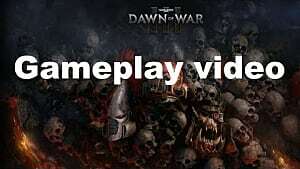 The unexpected latest entry in Warhammer 40,000's Dawn Of War series, Dawn of War III, arriving a full eight years after the previous main title, brings along a host of tweaked features that shake up the franchise. 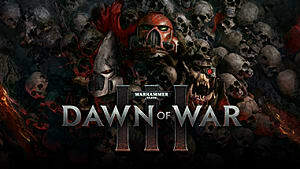 That shouldn't be too much of a surprise, considering how drastically different the original Dawn Of War was from its successor, with a major overhaul and total focus change between the first and second games. 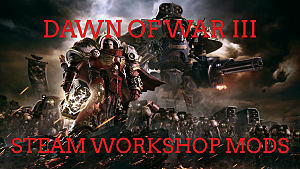 Games Workshop hands the license to this franchise out like candy on Halloween night, and the last year has already been overstuffed with entries where Space Marines battle the Xenos hordes. 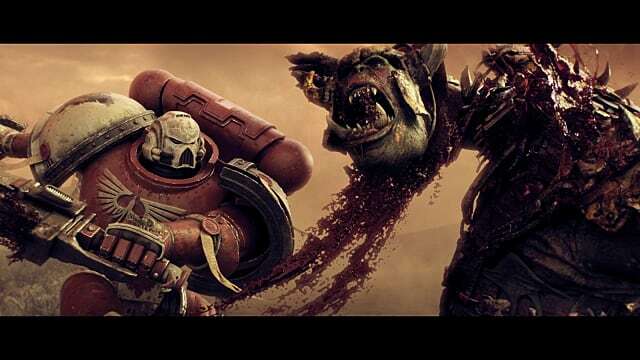 Relic's latest offering is welcome despite the overcrowded nature of all things Warhammer 40K, and after having given both multiplayer and the single player campaign a fair shake, I can say without hesitation that I'm enjoying it quite a bit more than the recent FPS entry, Space Hulk: Deathwing. 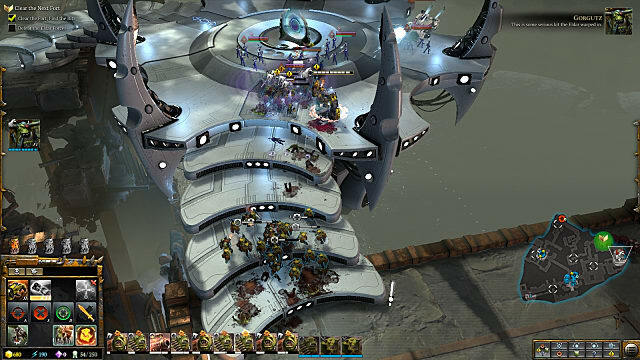 Although there are numerous changes to the formula, there are also lots of familiar elements at play in the single player campaign – using special abilities to reach inaccessible areas or change battlefield configurations, beginning with an Ork invasion, while clearly something bigger is going on in the background, and so on. Everything has been reconfigured from the ground up, however, including a massively overhauled UI. Plenty of little tweaks can be noticed in every area of the game, and some of the changes are long-overdue -- like using drop pods of reinforcements offensively. Why haven't we always been dropping massively heavy pods filled with battle-ready troops at ludicrous speeds directly onto enemies before? As with the previous games, this take on the RTS genre is still squad-based (rather than building individual units) but precisely how those squad units work has been retooled a bit. Maximum health and damage output are now reduced as units within a squad are killed, for instance, and they can only be reinforced with replacement units at specific locations. Upgrades are retooled a bit between each playable race as well, with Orks getting temporary boosts by salvaging scrap. Playing through the campaign, it's very clear Relic went out of its way to craft more intricate backgrounds, with a lot more eye candy in any given single player map this time around. At the same time, those maps also feel a little more constrained and linear, less wide open than in earlier games (in single player at least, as the multiplayer maps are pretty spacious). Interesting elements from other game styles work their way into both the single and multiplayer, like planting a standard to give bonuses to troops, with enemies able to capture that standard to nullify those boosts. Shrouded stealth areas for planning ambushes or sneaking through large troop formations are featured prominently, as well as totally redesigned cover points where troops take less ranged damage after capturing the cover point. 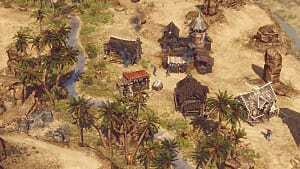 Somewhat similar to how Dragonshard had levels split between below ground RPG style missions and above ground RTS segments, or how Spellforce combined the two ideas more seamlessly, a lot of missions are diametric. 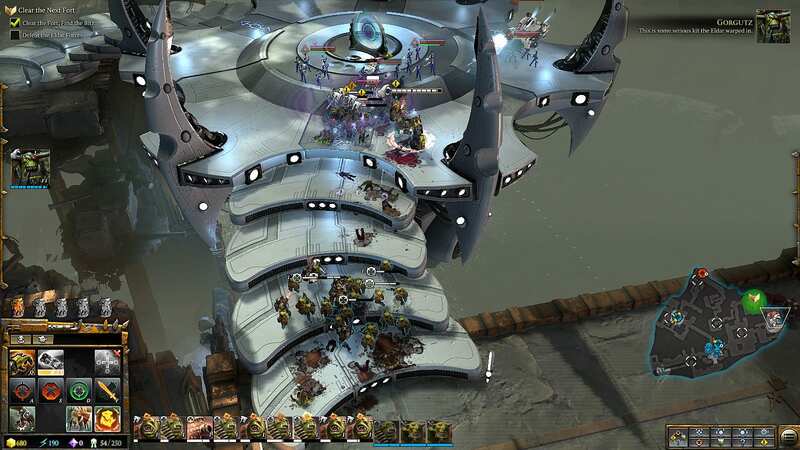 For instance, some involve you taking your Elite hero to complete specific tasks before actually building a base and play the RTS side of the game. Each faction's roster of Elite units is ludicrously fun to play in both single and multiplayer, with distinct abilities offering many different tactical options. 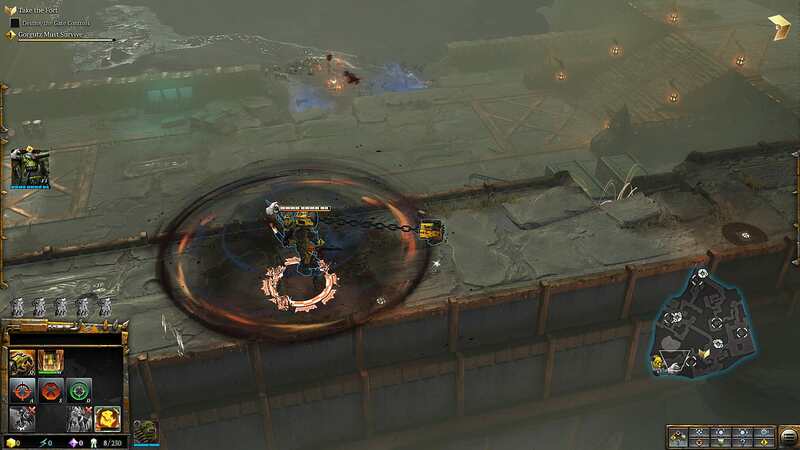 Gorgutz's Wreckin' Klaw ability for instance is utterly amazing, letting him deal monstrous damage in a sphere while still moving forward so you can cut a path for other troops to rush in. 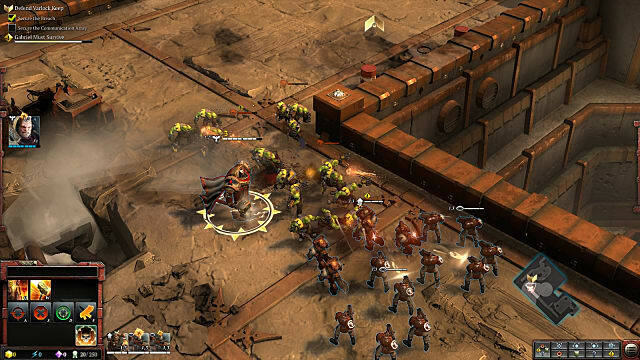 In previous Dawn Of War iterations, the various factions were essentially the same on the base building elements – everyone was trying to get more requisition and energy in the exact same ways (with the lone exception being the Necrons, who only used energy). Now the three major factions feel a little more distinct, with Space Marines playing as you remember from previous games. However, Orks are now looking for scrap instead -- and they have a Waaaagh! meter that needs to be filled in different ways. As you'd expect, the Eldar are much sneakier, focused on teleporting troops to locations where the enemy doesn't have strong defenses. 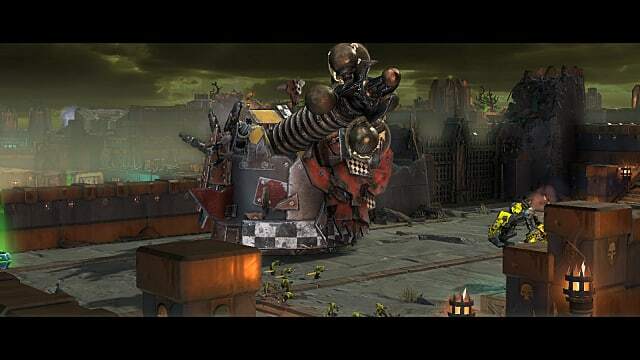 Each mission brings those differences to the forefront in some innovative ways, with the hilarity of Ork thought really brought out by certain mission objectives. How often do you move an object from one end of the map to the other by firing it repeatedly and letting it fly backwards due to absurd recoil? Yeah, That Looks Totally Stable. 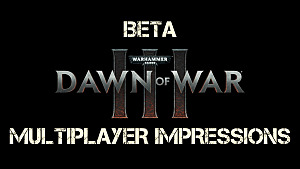 We already covered multiplayer in great detail on a look at the Dawn of War III closed beta a few weeks back, and everything written there still holds true as the official release date looms. 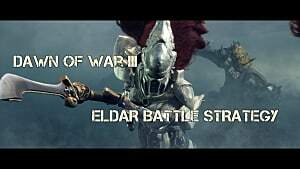 In short, there may be fewer match types available, but multiplayer is still a blast and the number of strategies to be utilized with different elites and factions essentially mitigates the lack of options. The super weapons provided to each faction in particular really change how matches play from previous games, and there's nothing more satisfying than annihilating an entire enemy army with an orbital bombardment. 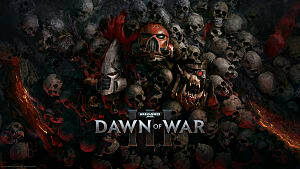 There's probably going to be a day one patch for Dawn of War III, and I am playing an advance review build of the game. But its worth noting there were some weird bugs I experienced in single player, like units suddenly no longer being flagged as enemies so they couldn't be targeted. Bugs aside, there's a satisfying balance between defensive and all-out assault missions on the single player front. Like a lot of AAA games these days, there's new abilities for your units and cosmetic items to be unlocked as you gain a currency over time (in this case, skulls). You can also level up your Elites for all three factions in both single and multiplayer, and earn skulls from both sides, so the two modes are intertwined and there's plenty of reason to keep playing. 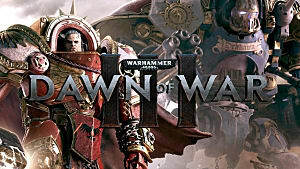 If you enjoyed any of the previous Dawn Of War games, there shouldn't be anything holding you back from diving into this one as well. 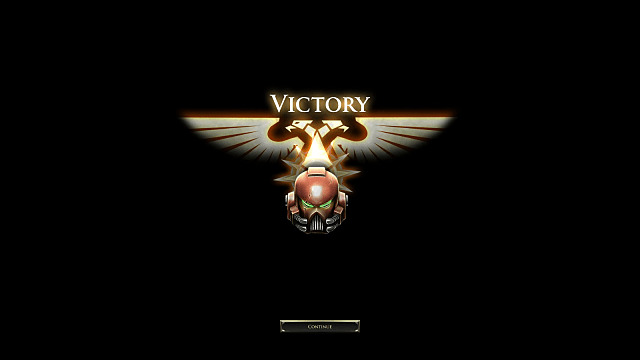 May this screen grace your monitor for the glory of the Emperor! 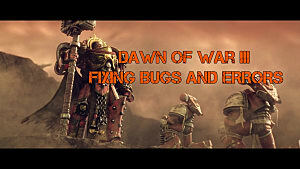 The factions may be familiar, but the rest of the experience has been significantly changed in this latest battle between the Imperium and filthy Xenos scum.